Over 45 beautiful boys to entertain you. Special shows and lucky number draws for free drinks. Private rooms available. English, Japanese, Chinese and Thai are spoken here. Open from 9 pm to 2:30 am. 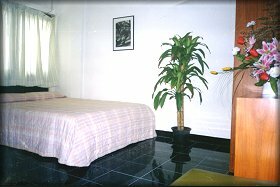 Our guesthouse (The Victoria Guesthouse) is reasonably priced and located right next door.